The illustrated report shows the importance of local authorities playing a leading role, and of developing major housing schemes in places that enjoy good links with jobs and services. It also shows that it is possible to build eco-friendly schemes that are family friendly. The research team of PRP Architects, URBED and Design for Homes applied the framework first developed for the Cambridgeshire Quality Charter for Growth of Connectivity, Community, Climate proofing, and Character, plus Collaboration and Cash Flow to find the common features that led to success. As well as organising the study tour to Amersfoort in the Netherlands, URBED produced supplementary reports on Making Eco-towns Work: Developing Vathorst and The Economic Issues. 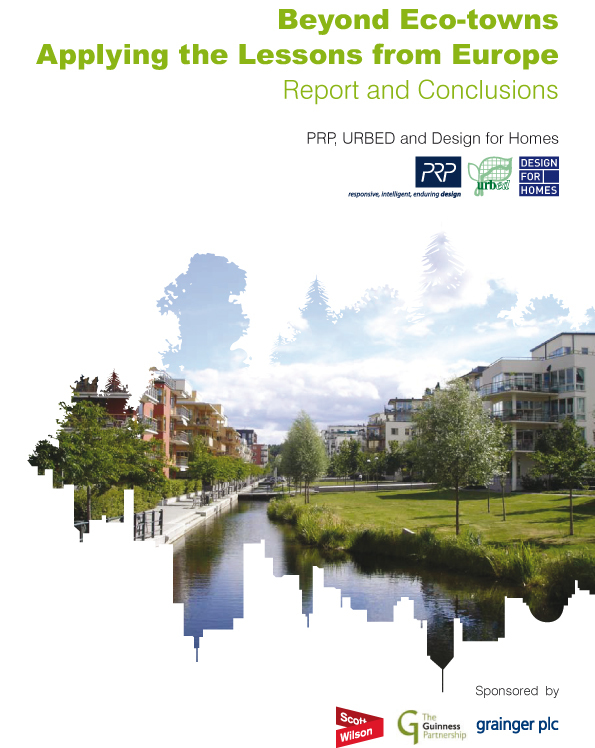 Printed copies of the report are available from PRP Architects.